can be be bundled, redistributed and sold with any software. 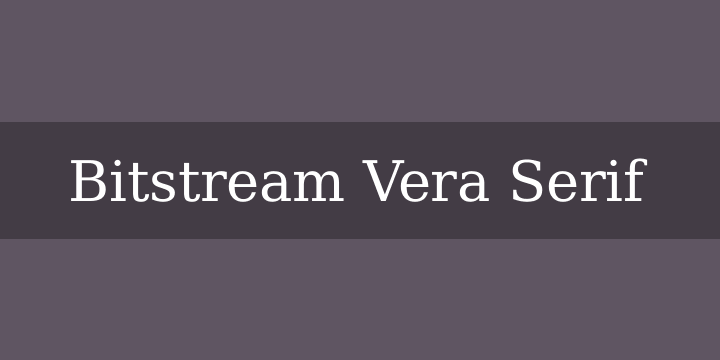 Vera is a trademark of Bitstream, Inc.
the words “Bitstream” or the word “Vera”. SOFTWARE OR FROM OTHER DEALINGS IN THE FONT SOFTWARE. fonts at gnome dot org. 1. I don’t understand the resale restriction… What gives? sale as part of a larger software package or system. Can I do so? with, and you aren’t selling them independently by themselves. 3. Are derivative works allowed? 4. Can I change or add to the font(s)? Yes, but you must change the name(s) of the font(s). 5. Under what terms are derivative works allowed? copyrights can be added, as per copyright law. Happy Font Hacking! guide and aid for people interested in contributing to Vera. 7. I want to sell a software package that uses these fonts: Can I do so? with the fonts. That is the intent of the copyright. can I override this somehow to use fonts of my choosing? core server) has other mechanisms for font substitution.